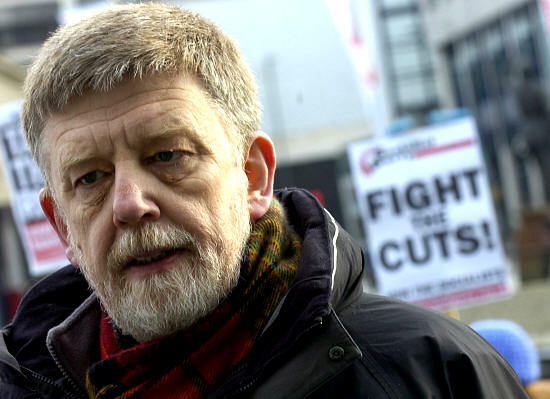 The leader of the Trade Unionist and Socialist Coalition (TUSC), former Coventry Labour MP and Socialist councillor Dave Nellist, has today called for government intervention to save City Link jobs, saying the company should be nationalised. The courier firm, City Link, whose headquarters are in Coventry, went into administration on Christmas Day putting hundreds of local jobs at risk. “The callous announcement of these job cuts, after staff had worked flat out in the days up to Christmas to make deliveries, is a disgrace. Postal and delivery services are becoming more fragmented and insanely competitive – with bosses seeking profit not from better service, but from trying to push down workers’ wages and terms and conditions, increase zero hour contracts and promote widespread subcontracting and self-employment. 15 months ago I joined City Link workers who were protesting in Coventry precinct against pay cuts of up to £4000, enforced overtime, axing of a bonus scheme and changes in travel arrangements. Since then many City Link workers have been forced to work as self-employed contractors and, following the Christmas announcement, will get no redundancy pay at all and become ‘unsecured creditors’, last on the list. Bosses, however, seem to have planned for this for weeks before telling workers. The company appears to have been meeting with insolvency advisors since November, and on December 9th three current City Link directors established a new firm – City Link B2b – based at Baginton. This has led the transport union, RMT, to claim these directors could be preparing to buy back assets from administrators “at a knockdown price”. Do you agree with Dave? Get in touch!